Researchers, collaborators, clinicians and many interested individuals gathered at the Centre for Appearance Research (CAR) at The University of the West of England for an afternoon of discussion and exploration of CAR’s work. CAR is the largest research institute of its kind in the world and is dedicated to researching the role of appearance and body image in people’s lives, and developing evidence-based interventions for people affected by an altered appearance. CAR’s work spans a broad range of research projects to assess and improve the lives of those living with disfigurement, as well as research which explores the relationships between society, culture and body image. Restore is proud to be collaborating with CAR on the development of a new set of age-specific Patient Reported Outcome Measures for burns patients. This quantitative study is ongoing and more information can be found here. Professor Nichola Rumsey and Professor Diana Harcourt opened the afternoon and spoke about the psychosocial impact which having a scar or visible difference can have on people. Then followed a series of presentations showcasing the work which CAR is currently engaged in. Among those presenting work were Dr Nicola Stock, who described the creation of the world’s largest cleft lip/palate databank and Miss Claire Hamlet, who discussed the “YP Face IT” programme, a primary care delivered IT resource to inform and support young people with a visible difference. 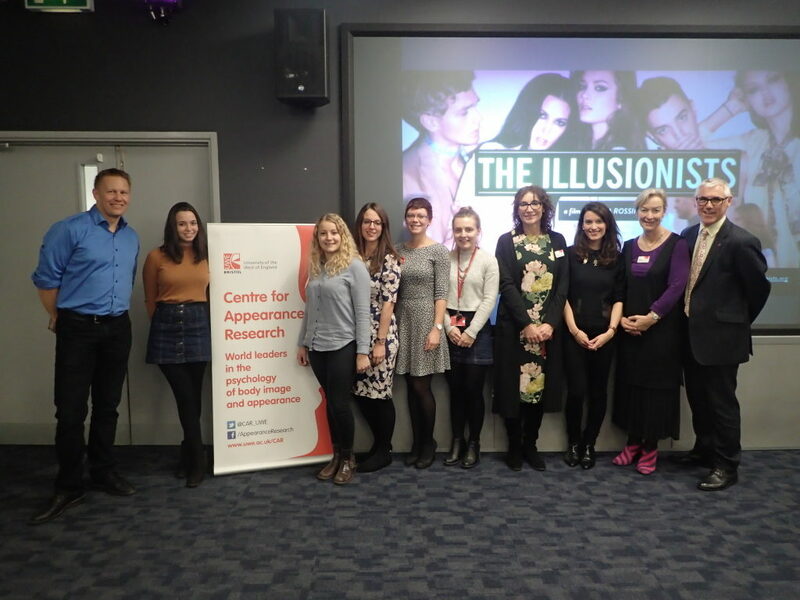 The afternoon was completed with a screening and interactive Q&A session of Elena Rossini’s feature length documentary “The Illusionists”, which examines the relationships between society, the commercial world and body image. Much more information on CAR’s work may be found from their free podcast, available here.